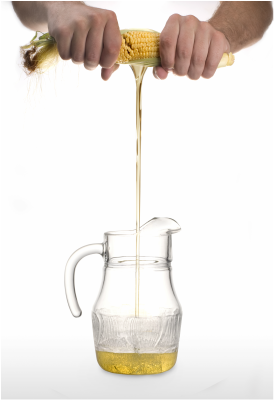 The very first production of corn oil took place in 1889. Most of the fat we put into our mouths today takes the form of vegetable oil, manufactured by an industry that didn't even exist 100 years ago. It goes without saying that it is much cheaper for manufacturers to make food with oils chemically extracted from plant seeds than it is to raise animals for their fat… and this dovetails nicely into the conventional wisdom that reducing heart disease means prioritising these unsaturated vegetable oils over saturated animal fats. Prepared and processed foods are often labelled as containing vegetable oils, without any further explanatory details; you'll find them in potato chips, sweets and candies, frozen foods, canned soups, and most prepared meals. Funnily enough, with the exception of olive oil, vegetable oil does not really exist! Veggies aren't very oily. Fruit oils such as coconut, palm and even avocado do exist as do nut oils like macadamia, peanut and pecan. But it’s seed oils like canola, sunflower, safflower, maize, soybean, cottonseed, grapeseed, rice bran etc which make up the industrial mainstream. While the fruit and nut oils can be beneficial, seed oils are nowadays considered by many to pose a health risk. Yet, you cannot buy packaged or takeaway food that is cooked in anything but seed oil, and these prepared dishes all contain high and potentially damaging levels of omega-6 fatty acids. Crispy vegetable seed oil anyone? Potato chips (crisps) are a typical example of how we take in large quantities of seed oil in the processed foods we eat. 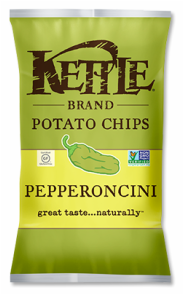 These Kettle chips contain about 30% by weight of sunflower, safflower or corn oil depending upon which country you buy them in. Potato is still the dominant ingredient with just under 60% of the weight. Potatoes, safflower and/or sunflower and/or canola oil, maltodextrin, sea salt, salt, green bell pepper powder, garlic powder, sugar, yeast extract, spices, vinegar, jalapeno powder, onion powder, parsley powder, citric acid, natural flavors, parsley flakes. So where is all our Omega-6 coming from… ? Go back 50 or 100 years and most of the fat in our diet was of the grass-fed animal variety or from nuts and fish. As you will have read above, the meat and dairy produce from grass fed cattle contain much higher levels of Omega-3. What we eat is very different today. In today’s processed, packaged and pre-prepared food, sunflower, corn, soy and safflower seed oils are commonly used, containing an omega-6 content of up to 75%. This exacerbates the inflammation in your body and puts you at risk for disease. For example, McDonalds use a blend of 7 ingredients in their frying oil, including: canola oil, corn oil, soybean oil, hydrogenated soybean oil with tert-butylhydroquinone (TBHQ), citric acid, and dimethylpolysiloxane. Funny thing is: they used to use beef tallow until saturated fats got a bad name and governments mandated that they stop! Hemp seed oil, cold-pressed flax oil or walnut oil are high in Omega-3 and these taste great on salads, but they are essentially unstable, just like avocado and macadamia nut oils which are also good, if expensive. Like most oils, they have a relatively short shelf life (they go off or 'rancid') and need to be kept in dark cabinets away from oxygen and light to stop them going rancid. Best of all, keep them in the fridge in dark glass bottles! Just drizzle them on your favourite salad or veggies for flavour and then put them away. That doesn’t really help with frying though does it (yes, you guessed it – they are heat sensitive too, with lower burn points!). Coconut oil, lard from free range pigs, grass-fed beef tallow, purified butter or ghee are better cooking options. They are more stable and suitable for higher temperatures. So stop using vegetable oils like sunflower oil, safflower oil, soybean and corn oil, which are all high in omega-6 acids. (another reason to avoid pre-packaged, processed foods). And to dial up the Omega-3, increase your intake of fatty fish such as salmon, tuna, mackerel, anchovies and sardines. These fish are all sources of omega-3 fatty acids and you will decrease the level of inflammation in your body. Here's the wonderful Julia Child commenting on how good McDonald's fries used to be... until the nutritonists got involved with their anti-lard, anti-beef tallow views..
Fats are all a blend of saturated and unsaturated, the unsaturated fats including poly- and monounsaturated fats. Omega-3 and Omega-6 (called essential fats because our bodies have to get them from food) are types of polyunsaturated fats and we cannot manufacture them from other fats. The polyunsaturated fatty acid composition of cell membranes in our bodies is dependent on our diet and some of the most crucial fats in our body are in the list of compounds that make up our cell walls. When it comes to these polyunsaturated fats, if the ratio of Omega-6 to Omega-3 exceeds 4:1 - which it usually does these days - people report more health problems. Grain-fed beef typically has Omega-6 to Omega-3 ratios that exceed 10:1, but grass-fed beef averages about 3:1; levels that are typical of those found in various grain-fed versus grass-fed livestock. 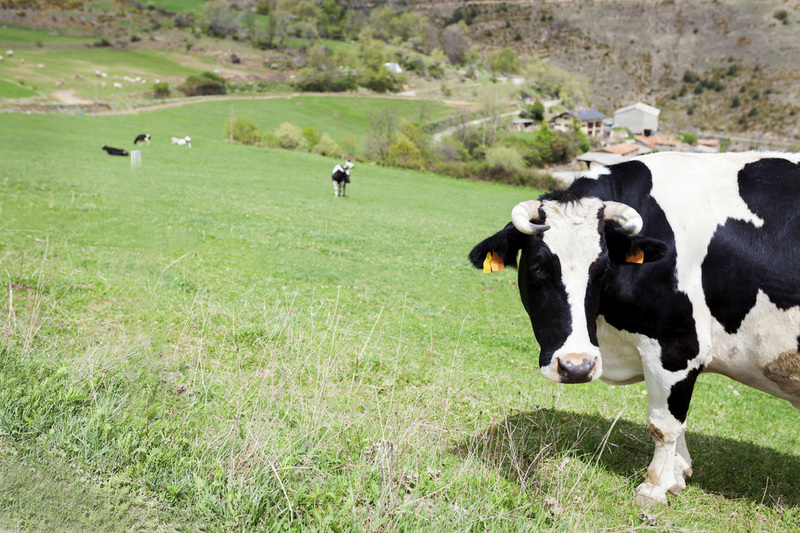 Grass-fed meat and dairy are rich in all the fats now shown to be health-enhancing. Nutritionists and dietitians disagree on many things but there is unanimity about this. Increase the proportion of Omega-3 to Omega-6 fats that you eat and it will be beneficial for your health and contribute in an anti-inflammatory way. Regardless of whether your beef is grain-fed or grass-fed, you’ll be getting about 40-50% saturated fat, about 40-50% monounsaturated fat, and somewhere near 10% polyunsaturated fat. The most current research indicates that beef contains consistent levels of omega-6 regardless of diet and that’s good news if you can’t afford grass-fed beef. At least grain-fed beef won’t be adding much to the already high levels of Omega-6 that you’re probably eating every day. But significantly higher levels of omega-3's are still found in grass-fed beef. So why not try grass fed beef and economise with a slightly smaller portion size, a cheaper cut or try cooking offal which is particularly rich in many vitamins and minerals. The same general rule goes for free range pork such as Black Iberian and for free range chickens too. One of the largest human trials examining the effects of replacing animal fats with seed oils was the Los Angeles Veterans Trial, completed way back in 1969. It was conducted with 846 Californian military veterans randomly assigned to two different hostel kitchens, one of which replaced all animal-fat products with corn oil for the eight-year duration of the study. The other kitchen kept on with its normal high-animal-fat diet. The purpose of the trial was to determine what heart disease-related benefits were linked to removing animal fats from the diet... but there were found to be none. The seed-oil group had a slightly lower average blood-cholesterol level, but heart disease-related events were not significantly different between the two groups (in keeping with what we now know about the lack of connection between levels of cholesterol and heart disease). Yet there was a different, wholly unexpected result: a dramatic difference in cancer deaths between the two groups. The incidence of fatal cancers in the seed-oil group nearly doubled that of the normal-diet group after 8 years.